Insects are captured on a slow-winding sticky film. 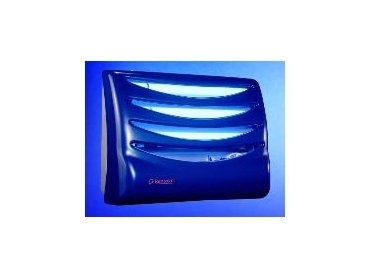 RENTOKIL has released the Luminos 3 insect control system. It creates a safe, clean and effective insect control unit suited to food preparation and service areas, or any other internal area where flying insects are a problem. It hides an ultraviolet light to attract insects, which are then captured on a slow-winding sticky film. The film rolls on at set intervals, ensuring a clean and effective trapping surface is retained. It is placed horizontally at the bottom of the unit and needs replacing once every three months. No pesticides involved and there is no risk of dead insects being blown around an are. he system has three shatter-proof globes for added safety and conforms to all electrical safety standards and offers minimum disruption with fast, easy servicing. High-voltage insect killers produce insect fragments, many of which are small enough to penetrate deep into the lungs. Insect particles are potential allergens and may trigger conditions such as asthma, rhinitis and conjunctivitis. A film reading service can be provided to monitor insect type and activity. The film is rewound and the types and numbers of insect captured can be recorded along with peak times of activity.